Electricity is now a fundamental part of our lives, a necessity, and one that's often and easily taken for granted. We may hardly notice that a room has a light switch for an electric light. But any time our electricity doesn't work, you can bet we notice that. With electricity being such a crucial part of our day-to-day, getting any problems with it fixed easily becomes a priority. But you should never attempt to work with electrical systems on your own. The only way to ensure your safety, and the safety of your home, is to hire a professional. Contact Sure Line Electric Group today! Our Valley Stream professional electricians are the most reliable and trusted around. Each is professionally trained and licensed, and will be honest and direct about pricing and work with you throughout the process. For professional service from professional contractors, call Sure Line today and schedule your appointment. As professional electricians, our goal is to provide top-quality workmanship to each of our customers at the most reasonable rates. We work with your satisfaction in mind and always provide friendly service from the most trained and experienced electricians in the area. Any job—from a light switch replacement to a complete rewiring of your home—will be done with exceptional skill. With our training and experience, we'll be able to find the exact cause of your electrical problems and fix those, so that the symptoms don't continue to occur after “repairs” have been done. We also understand the importance of having the job done quickly, and we're dedicated to giving you prompt service so that you can get back to your daily life. Give us a call for any electrical repairs and we'll be there ASAP to do give you the best service in town. Because homes are using more electricity (with more devices and appliances than ever before) some electrical panels have grown out of date. This can be very dangerous and cause any number of problems with your electricity. When you set up an appointment with one of our Valley Stream electricians, we'll discuss exactly what work you need done with regards to your panel and go over all of your options. Depending on your electricity usage, your panel's age, and your local codes and standards, you may need a completely new panel installed. We'll be upfront about the cost of all jobs and won't leave you with any surprises. We also won't move forward on any work you don't fully approve of. Schedule your appointment and we'll discuss these issues with you each step of the way. If you're selling a home, moving into a home, or simply haven't had electrical work done lately, it's probably a good idea to have an electrical inspection. 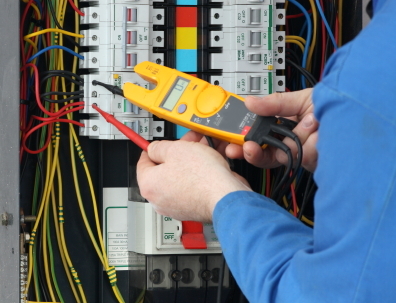 Our Valley Stream electricians will be very thorough and find any lingering or potential problems. We'll let you know about any work we suggest you have done, but we won't pressure you into anything. Major Valley Stream Home Remodel - Upgrade Your Electrical Service!